The fast and simple vacuum system setup reduces labor and material costs and provides the possibility to cut cycle time particularly with the serial production of larger products such as wind turbine blades or hulls. 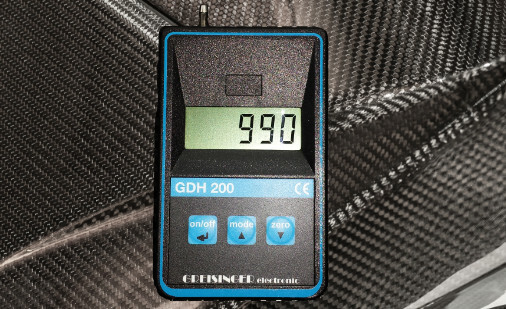 The membrane technology reliably prevents that resin is drawn out of the laminate so that the calculated fiber to volume ratio can be realized precisely. The closed hydraulic system makes it easy to adjust the compaction of the laminate from the resin inlet side only. The membrane system is self-regulating in terms of resin flow which leaves less room for failure. There is no complex timing of clamping and opening different vacuum ports. A resin catch container is no longer necessary which enhances the process safety, reduces resin consumption as well as it saves time and money for the preparation of the container and disposal of wasted resin. 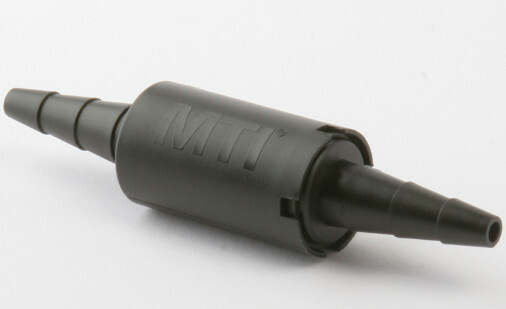 The MTI® hose is extremely easy to work with. It is flexible and pliable so it can be routed along the profile of very complex parts. The Vacuum Infusion Process is often abbreviated as VIP for short. VIP is a process that is used in the composite industry to manufacture fiber reinforced plastic parts ()FRP). The manufacturing process consists of disposable films being applied over the laminate. During the process setup, the dry materials are taken and stacked onto the female or male mould surface and then a vacuum bag or partially-stiff counter mould is then used around the part’s edge for a complete seal. Next, a vacuum is introduced to remove the air and apply pressure (atmospheric) to compact the dry materials and create a necessary vacuum cavity where strategically placed resin feeding lines will drive the resin into the part. In order to completely saturate the part in resin, there is a pressure differential that exists between the outside atmospheric pressure and the cavity which allows for resin to be pushed through the porous materials in a vacuum infusion process. To guarantee consolidation, the vacuum remains until the part has cured. Viscosity – Resin viscosity will determine the time it takes to saturate a part. Ideal resin viscosity is between 100 – 300cps, with larger viscosities resulting in longer saturation times. Permeability – The permeability or porous characteristics of the reinforcement materials affect the flow of resin. The use of flow media is an integral part for proper and timely infusion. A grooved or scored core may also be used. 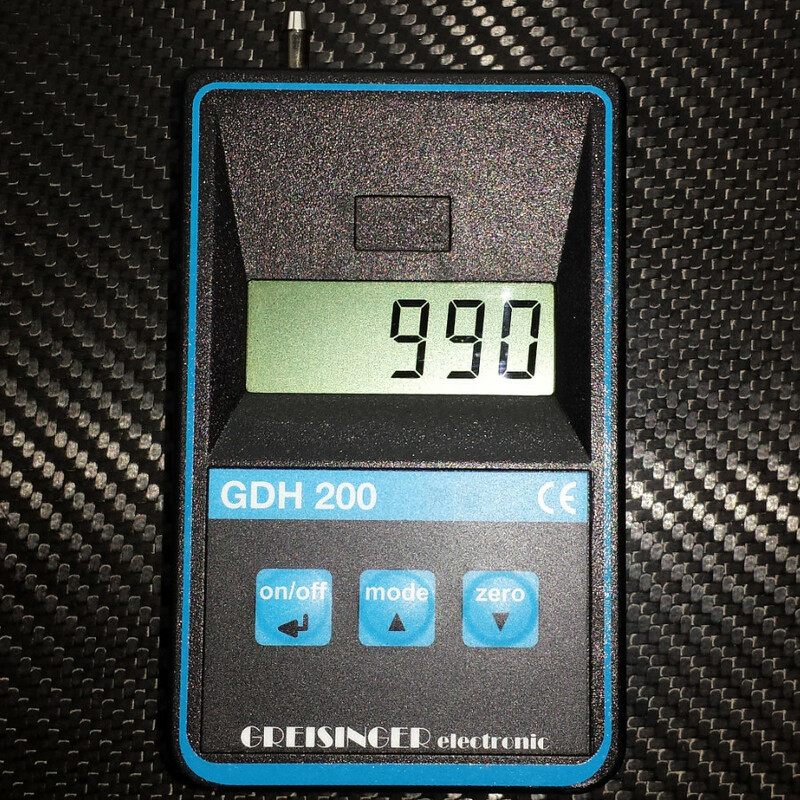 Pressure Differential – The greater the pressure difference, the quicker the resin will flow during VIP. Optimal pressure is below 0.15psi absolute pressure (full vacuum). Distance – The flow distance is also an area that will affect the filling time. If the flow distance is larger than 1.5 yards, more feeding points should be introduced. The vacuum infusion process is the leading industry technique for the production of composite parts. This method creates stronger and lighter parts and even reduces costs. Part quality and reproducibility becomes easier to maintain versus conventional methods. Quality inspections are easily accomplished with the ability for inspection before resin is driven into the part. The process also reduces skin contact and odors of volatile organic compounds and air pollutants to the air around you. Setup time is also significantly enhanced during vacuum infusion offering unlimited time for readjustments. Resin is not catalyzed in the part until all the necessary materials are in place, leading to fewer errors under time constraints. VIP is also known for its low transition or startup costs and ease of learning the method. With VIP, you also have the ability to easily conform to simple, larger and complex shapes because of evenly applied pressure via the vacuum bag. Finally, the use of a vacuum produces a stronger laminate because of the removal of air and volatiles during the process. 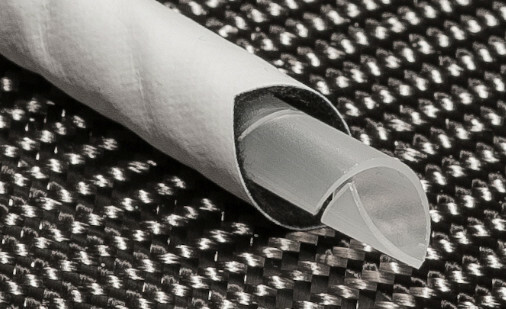 Over the last decade the vacuum infusion process has received advancements in the ability to introduce resin into the vacuum bag. Using well-made resin distribution manifold systems and essential flow media in the vacuum bag has offered better management of the influx of resin into the vacuum bag; improving the process and its results. Saturation has been optimized to be faster and is more efficient because of the use of flow media on the laminate surface and the use of inflow media into the laminate. The latest technology from Germany uses the semi-permeable MTI® hose to evacuation the mould which offers a competitive advantage compared to the traditional method. In order to implement VIP, you’ll need a few pieces of equipment. This equipment includes: the vacuum pump, leak detector, thermometer, clamps, hoses, several resin collectors, vacuum gauges, and vacuum bagging supplies. The biggest cost in introducing VIP into a larger shop is the need for a superior fail-safe vacuum system which consists of two pumps, a filter, reservoir and vacuum lines which are permanent and run throughout the shop for easy hookup. If you’re familiar with traditional open molds, VIP tooling is almost identical in many ways. 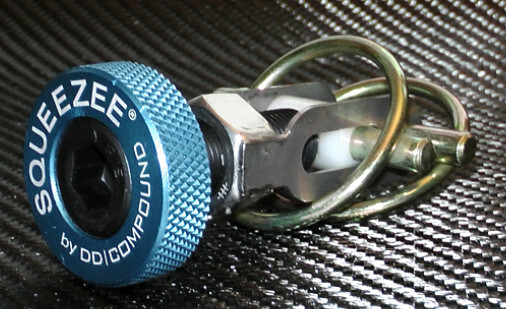 The use of an ample perimeter flange is needed to mount the vacuum bag. Building tooling will require no unique expertise except for open mold fabrication. The largest cost that you will run into in converting to VIP is the mold modification, and changes to the shops layout in order to support VIP. The use of standard open molding tooling is also sufficient to use and VIP shops often use polyester gel coat and polyester laminate molds. Another alternative would be epoxy tooling. 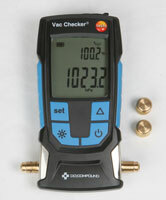 A vacuum source will be required in VIP and a large system may be required for higher outputs and processes. The good news is that the learning curve for VIP is manageable with limited downtime during a conversion. Vacuum infusion process courses are typically one week in length however it may take up to four weeks for the average employee to achieve quality production skills attainment. If you are still working with a wet lay-up process, our expertise makes it simple to upgrade your production to a much higher performance level using MTI® hose technology. We are experienced in supporting clients throughout their transition to the MTI® infusion process. If you would like to get supported alongside the transformation process towards MTI®, we are experienced to do that. If your production process currently utilizes a Vacuum Infusion Process, our expertise makes it simple to achieve better results by assisting with your transition to the MTI® infusion process. Improving your existing vacuum infusion process is extremely easy. Simply replace the spiral hose with the MTI® hose. Seal one end into the vacuum line and close the other end with sealant tape. Pinhole-free finish in one shot. The ability to perform one-step infusion processes at production quantities is a significant competitive advantage. The reproducibility of vacuum assisted resin infusion processes is enhanced significantly through the use of the self-regulating MTI® hose. Risks traditionally associated with such processes, such as dry spots, are minimized when using the hose. When parts are manufactured correctly the first time, costs from the post-treatment associated with fixing parts are avoided. 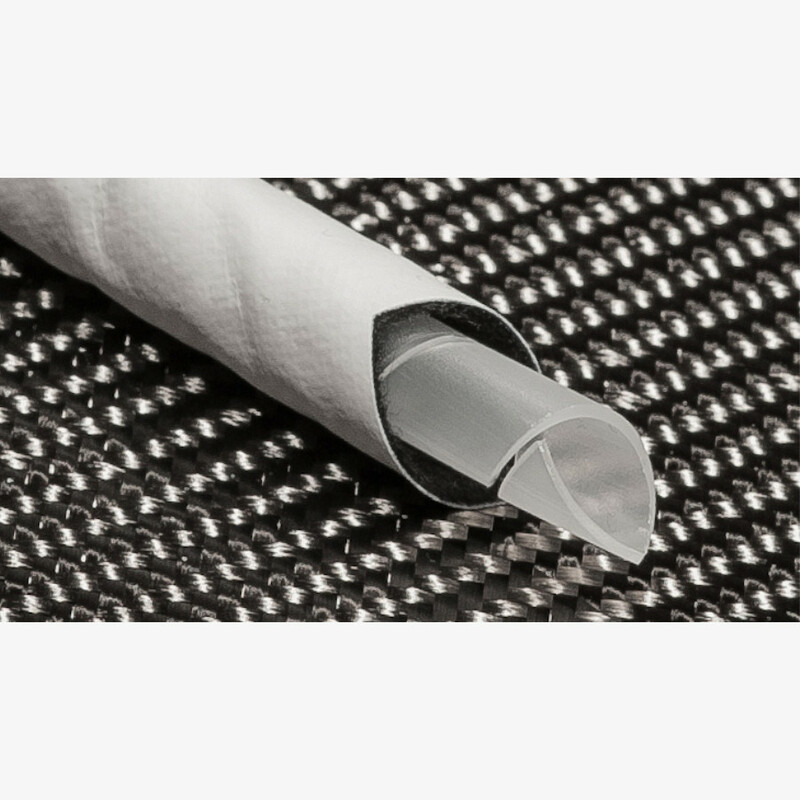 The low-pressure MTI® offers a decisive advantage in terms of minimization of air bubbles. Consistent high quality of the structural components results in higher resistance to dynamic loading. Due to the semi-permeable membrane, the infusion process is self-regulating. This supports a homogenous resin content across the entire component cross-section. The blocking effect of the hose ensures that resin flows through entire part. A resin trap is no longer necessary, so exact resin consumption can be calculated. Adjust the amount of introduced resin to achieve optimum fiber volume fraction. Infuse exactly the amount of resin that will be absorbed by the part. Since resin is not required to reach vacuum source uniformly, there is no need for complex calculations of resin flow. MTI® offers flexible positioning of the resin feed lines- place them wherever they are needed. The integrated spiral hose allows for flexible handling and provides for an effective airflow channel for maximum evacuation performance even under difficult conditions such as extremely large or complex designed moulds. Even molds such as hulls or wind turbine blades are simple with MTI® hose. The MTI® hose is extremely easy to work with. Very low initial investment: no autoclave or resin trap required. It is flexible and pliable so it can be routed along the profile of very complex parts. Once you have used it you will love it. We are experienced in supporting clients throughout their transition to the MTI® infusion process. If you are thinking about upgrading your production process by investing in autoclave technology, first consider that the required component quality is possible using MTI® technology at a fraction of the cost of an autoclave. If you need more information to make the right decision, a test-run with the MTI® hose will win you over! We are experienced in supporting clients throughout their transition to the MTI® infusion process.